The Independence of Brazil is one of the most important historical facts of our Country, as it marks the end of Portuguese rule and the conquest of political autonomy. Many previous attempts have occurred and many people died in the fight for this ideal. We can quote the best-known case: José Joaquim da Silva Xavier, popularly known as Tiradentes. He was executed by the Portuguese crown for defending the freedom of our Country, during the process of Minas' Conspiracy. On January 9, 1822, D. Pedro I received a letter from the courts of Lisbon, demanding his return to Portugal. There are times the Portuguese insisted on this idea, as they intended to recolonize the Brazil and the presence of D. Pedro prevented this ideal. However, D. Pedro responded negatively the calls from Portugal and proclaimed: "If it's for the good of all and happiness of the nation, tell the people I stay." After that day, D. Pedro took a series of measures that upset the metropolis as preparing the way for the independence of Brazil. He convoked a Constituent Assembly, organized the Navy, forced the Portugal troops to return to their kingdom. Also determined that no law of Portugal would be placed into effect without the "meet up", i.e., without his approval. Furthermore, the future emperor of Brazil, called on the people to fight for independence. The prince made a quick trip to Minas Gerais and São Paulo to calm sectors of society that were concerned with the last event, because they believed that all of this could cause social destabilization. During the journey, D. Peter received a new letter from Portugal annulling the Constituent Assembly and demanded his immediate return to the metropolis. This news reached his hands when he was traveling from Santos to Sao Paulo. Next to the stream of Ipiranga, raised his sword and shouted: "Independence or Death". This occurred on September 7, 1822 and marked the Independence of Brazil. In December 1822, D. Pedro was declared Emperor of Brazil. The first countries that recognized the independence of Brazil were the United States and Mexico. Portugal required Brazil to pay 2 million pounds to recognize the independence of its former colony. Without this money, D. Pedro used a loan from England. Although it has been of great value, this historical fact has caused social disruption in Brazil. The poorest people didn´t follow or understood the meaning of independence. The agrarian structure remained the same, slavery remained and continued unequal distribution of income. The landed elite that supported D. Pedro I, was the layer that most benefited. We lived in a system of monarchy for 67 years.The Proclamation of the Republic was a significant event in the history of Brazil. 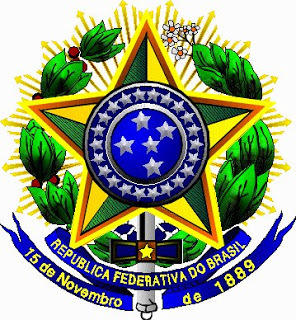 It was a military coup d'état that occurred on November 15, 1889, which established Brazil as a republic, overthrowing the constitutional monarchy of the Empire of Brazil and ending the reign of Emperor Dom Pedro II (D. Pedro I son). The proclamation of the Republic took place in Rio de Janeiro, then capital of the Empire of Brazil, when a group of military officers of the Brazilian Army, led by Marshal Deodoro da Fonseca, staged a coup d'état without the use of violence, deposing the Emperor of Brazil, Dom Pedro II, and the President of the Council of Ministers of the Empire, the Viscount of Ouro Preto. A provisional government was established that same day, November 15, with Marshal Deodoro da Fonseca as President of the Republic and head of the interim Government. Since then, the Country is ruled by a President chosen by the people through elections. It was a big step towards the consolidation of democracy in Brazil. Very good to know a bit more about Brazil. This beautiful country! Great initiative.